Sun-Dried Raisins are dried directly by sun and there are no additives. The result of the treatment makes a dark, sweet and chewy raisin. 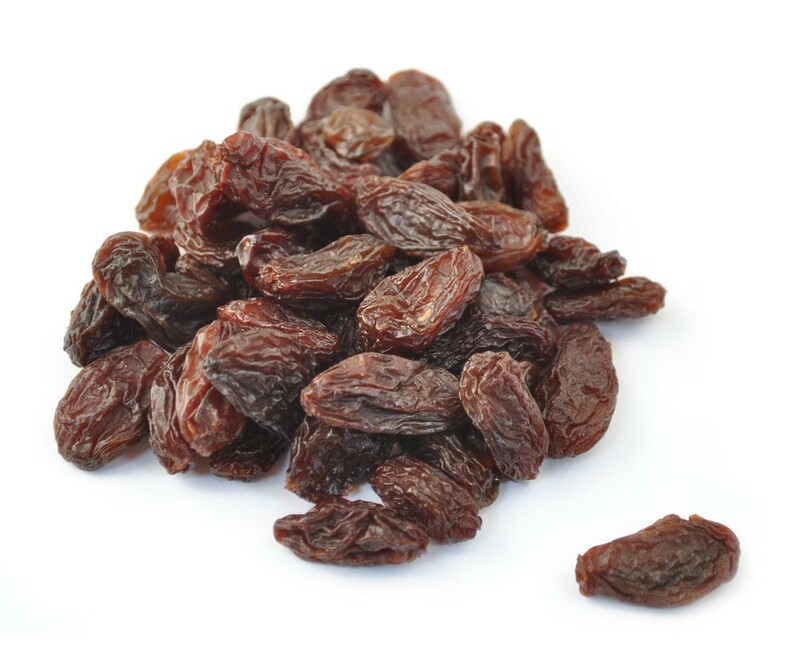 Sun-dried raisins are seedless grapes dried in direct sunlight and as a result they are typically dark-brown in color. This kind is treated without any additive and is high in sugar level. Sun-drying is seen as a natural way to produce raisins that not only gives them a particular intense flavor but also maintains the delicate balance of nutrients of the original grape fruit. Like other types, sun-dried raisins are dried, coated with vegetable oil, stemmed, mechanically cleaned, laser and hand sorted then metal detected under extreme care of hygienic conditions and with legal and safety requirements and the customers special specifications.